Eclipse Surveillance will repair or replace (at our option), without charge, any product proven defective in material or workmanship. The warranty period for specific product types is listed below. 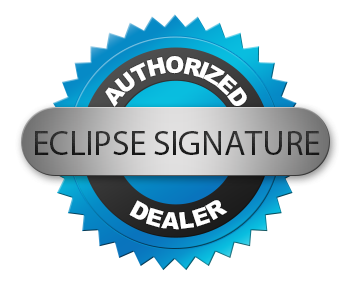 • All Eclipse Surveillance products warrantied by CCTV Outlet, Inc., all other products are warrantied by their respective manufacturer. Damage caused by reason of misuse, negligence, alteration, normal wear, or accident are not covered under this warranty. 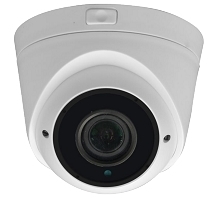 Eclipse Surveillance & CCTV Outlet assumes no risk and shall not be subject to liability for damages or loss resulting from the specific use or application made of products. • All non Eclipse products such as Hard Drives, will be subject to the manufacturer's warranty which is out of Eclipse's control. 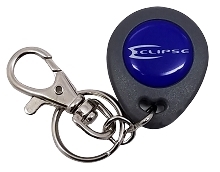 Eclipse Surveillance, assumes no risk and shall not be subject to liability for damages or loss resulting from the specific use or application made of products. Eclipse Surveillance, will accept returns of new, unopened items within 30 days of the shipping date for Store Credit (excluding shipping expense). 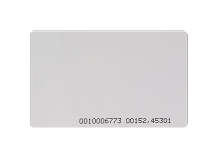 This store credit can be used to purchase any items on our website. Store credits will be valid for 90 days and must be used by that time or the store credits will expire. 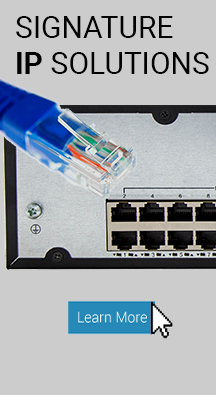 An RMA number is required before shipping the return back to us. Getting the RMA is simple, just go to our HELP DESK AND SELECT TO SUBMIT A REQUEST. Only new and unopened items will be accepted under this 30-day return policy. Products that show any signs of wear, or that are not packaged like new with all accessories and manuals will NOT be accepted under this return policy. After the 30 day grace period all items are subject to the General Return Policy below. Special Order Items are excluded for the 30 day return policy, this includes all Explosion Proof security cameras and housings and boxes of bulk cable. Used, opened items within the warranty period from the original ship date may only be returned if the item is defective. If you believe a product is defective, you are required to contact us for instructions and an RMA(Return Material Authorization) will be issued if Technical Support deems necessary. To get the RMA, please submit a request through our HELP DESK . Any return sent without prior authorization will be denied, automatically returned without prior notice, and a handling fee will be accessed. Technical Support will issue an RMA number. Please place this RMA number on the outside of your packaging, not on the item’s packaging.Under no circumstances will returns be accepted if the original package and original parts/contents are not maintained, the packaging has any writings or markings or if the product has been modified or altered. Any missing items from the original package will be charged on a per item basis. RMAs are valid 10 days from the date of authorization. This warranty will not apply to defects or damage resulting from; improper or inadequate maintenance or neglect by customer; customer-supplied parts; unauthorized modification or misuse; operation outside of the environmental specifications for the products; improper site preparation and maintenance; product which have been modified or incorporated into other products; use of other companies’ parts or accessories, either new or remanufactured. Any alterations to the unit voids all warranty and obligation. Any items that have electrical damage or have been damaged due to a power surge or Acts of God are not covered under warranty. Any item with damage because of cut or spliced cable or wire or has the original serial number removed voids warranty. Buyer is responsible for all shipping and insurance charges on the return and Eclipse Surveillance, .com will provide shipping back to the customer within the Continental USA. For International orders ALL shipping charges will be paid by the customer. We will send repaired goods only to Freight Forwarders in the U.S. Products should be mailed back prepaid by insured parcel post to Eclipse Surveillance, .com. If the parcel was not insured and the return refused, the buyer is responsible for any loss or damage. Upon Eclipse Surveillance, receiving an authorized RMA, all returned items will be tested to confirm suspected defects. If the unit in question is found defective, the unit will be repaired or a replacement unit of the same or comparable model will be shipped to the buyer at our expense Ground delivery Continental USA only. Expedited shipping is available at the buyer’s expense. When the defective item refers to an out-of-stock or discontinued item, A Pro Rated store credit will be issued. If the unit is tested and ultimately deemed not defective, it will be shipped back to the buyer at the buyer’s expense. -If the advanced replacement was purchased on a credit card, we will apply credit back to that same credit card upon verification of the non-repairable defect. If an advanced replacement is purchased with any other method (cash, money orders or wire transfers etc.) we will apply account credit. If a shipment is returned back to Eclipse Surveillance, for failure to pickup or insufficient funds the original shipping charge, return shipping charge, any associated fees, and a 10-25% processing fee may be assessed. Eclipse Surveillance, makes no further warranty, express or implied, including any warranty of merchantability or fitness. In no event will Eclipse Surveillance, be responsible for any incidental or consequential damages, including damage to any closed circuit video equipment. Unless otherwise noted, all refunds will be issued in the form of a store credit. Only in the event that the products ordered are not available, a refund will be issued at the customer’s request.